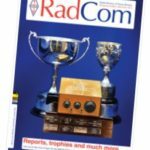 In the April 2018 issue of the RSGB’s Radcom magazine, there was a letter from Allan 2E0RKV about “virtual clubs”. Suffering from a long-term illness, Allan was fearful of leaving home. His local club was “less than helpful”, and he made use of social media to build up a virtual network. His letter ended with a note that clubs should look at hiw to expand onto the Internet. Essex Ham is a virtual club, and the group’s Chairman sent a letter into Radcom in response to Allan’s letter. I’d like to echo the sentiments expressed by Allan, 2E0RKV in the April 2018 Radcom regarding the rise of the ‘virtual club’. When I joined the hobby seven years ago, I was amazed at the lack of online information for newcomers, so I used my web skills to create a small website to fill the gap. Over time, the content grew, as did the interest, resulting in me running a net for local M6s. A snowball effect had begun. Driven by requests from site visitors, we started running occasional field days (organised over social media), added a forum, affiliated to the RSGB, started to allow supporters to become “members”, and most recently, started ‘virtual’ Foundation training. Without the constraints imposed on traditional clubs (hiring venues, collecting subs, booking speakers, organising raffles, etc), we’ve been able to focus on supporting the hobby and the needs of our members. As we are Internet-based, we get instant feedback on everything we do or publish online, meaning that it’s the members who shape the direction of the group, whilst contributing and supporting each other. It seems to be working, and at the time of writing, Essex Ham now has over 900 members across the UK and 150 overseas. Here in Region 12, there is a growing number of ‘alternative’ groups – virtual clubs, as well as innovative collaborations such as Suffolk RED, which is run jointly by three traditional clubs all pooling their resources. All of these appear to be experiencing an uptake in interest and meeting the needs of amateurs who want more than a traditional club night. This appears to highlight two things: today’s amateur are willing to seek out something different, and that the days of amateurs just belonging to his or her local club, is in decline. The only fly-in-the-ointment for us, is how some ‘virtual’ groups are viewed by some of the traditional clubs. An area-wide virtual group of amateurs presents a sizable opportunity for mainstream clubs, notably the sharing of information on local activities and access to a network of amateurs who can help with mentoring or supporting the less-able. Rather than working together to support the needs of the local amateurs, it seems that some traditional clubs appear to view non-traditional groups such as ours (and others) as some kind of threat to the status quo. 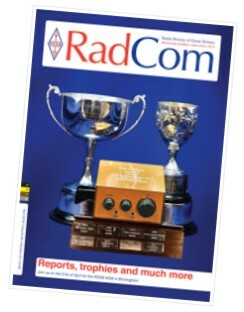 As was pointed out in the RSGB’s Annual Report (April 2018 Radcom, Page 71), there are challenges ahead for traditional clubs. It is apparent that some are struggling to recruit and retain new members, and the solution may be for them to start to become a little more agile, emulate some of what the alternative groups are experimenting with, and/or work alongside (and not against) emerging ‘virtual’ clubs in their area. A diverse, but co-operative, mix of clubs that serves the needs of local radio enthusiasts can only be a good thing for the future of our hobby. Subscribe to our Clubs Discussion group to share ideas about clubs.